Welcome BACK to Amazing Words Wednesday. I took a hiatus for a bit while working on some other projects, but I’m back to walk us through the labyrinth of language to see what we can find. Today’s post, though, is really about what we would not find. Language and grammar rules are not etched in stone. They can change as need and usage dictates. Now this doesn’t mean that Jane Citizen gets to ignore proper grammar and make up her own rules. The whole point of grammar and punctuation is to facilitate communication, which requires some mutual parameters. Just as we have road rules to make sure we get where we want to go, grammar and punctuation help us achieve our goal of effectively communicating and receiving messages. But I’ve got a few suggestions for punctuation I’d like to see changed. Have you noticed that accepted style finally changed to nix the two spaces between sentences in favor of a single space? Scalable fonts allowed better spacing, making the additional space unnecessary. Likewise, I suggest that the extra spaces between ellipses are unnecessary and a real pain when dealing with line breaks. It would save time and assist formatting to finally drop the spaces between ellipses dots. “She shirked her duty, but I wasn’t surprised by her laziness.” YET . . .
Why is there no comma before “because”? It’s one of those rules that simply doesn’t make sense to me. Grammar works best when it’s consistent, so could we please add a comma before “because”? It would make the rule consistent across the board, alleviating the need for poor explanations for this exception. You’re really supposed to pick one or the other. If a question is exclaimed, grammar experts say to use the exclamation point, and we’ll all figure out it’s a question. There is a whole other punctuation mark we could use. It’s called the interrobang, and it gets rid of any confusion and that moment of the author wondering just where the line is drawn between questioning and exclaiming. Let’s use it. Get rid of the comma with “also” and “too.” This has started to disappear, but it’s still common enough to see a sentence written as “She ordered a piece of cake, too.” It’s grammatically correct to include a comma before the words too and also. But it’s superfluous. The meaning of the words too and also are so clear as to not be confused with other meanings such that a comma is required to set them off. I simply don’t think we need it. Now it’s your turn: What do you think of my suggestions? What punctuation changes would you like to see? Today is Amazing Words Wednesday, the day we enter the labyrinth of language and see what we can find. As a matter of fact, I turned a corner and ran into my favorite vocabulary teacher, Miss Spelling. I convinced her to share another lesson with us regarding words that are commonly misspelled. Welcome back, Miss Spelling! Thanks for the invitation. Since I was last here, I’ve been researching some icky, sticky, tricky words. You know, those words that somehow stick in language as being spelled one way when in fact they are spelled a different way. What do I mean? I shall point a few examples today and help everyone learn the correct spellings. Chomping champing at the bit. “Chomping at the bit” is not literally wrong because you can find reputable sources defending its usage. However, the original saying, and thus preferred spelling, is “champing at the bit.” Champing is biting or chewing noisily, so this phrase refers to a horse biting on the bit in its mouth, eager to go. If you are in conversation, chomping is probably fine. However, if you are writing this phrase into an essay or novel, go with champing. Peaks piques interest. I have mentioned this word confusion before. However, it bears repeating because it is one of those mistakes that has been particularly sticky in common usage. Your interest may peak at some point–meaning it reaches its climax. But what one usually means with this phrase is that your interest has piqued–pique meaning to excite or to arouse. For all intensive purposes intents and purposes. When said quickly, “intents and purposes” may sound much like “intensive purposes.” Surely, this was the impetus for the mix-up. However, the meaning of this phrase is for any and all reasons–described as “intents and purposes.” What exactly would an intensive purpose be anyway? That’s it today! A short class, and you all did beautifully! Thanks, Miss Spelling! We’ll be sure to keep those icky, sticky, tricky words in mind. Have you had trouble with these words or phrases? What words do have difficulty remembering how to spell? Welcome to Amazing Words Wednesday when we enter the labyrinth of language and see what we can find. 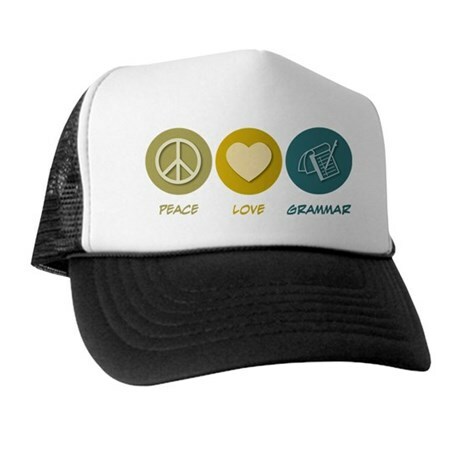 Today I’ve got my grammar hat on. I don’t really own one of those, but I should. Because I want to talk about pronouns. When do you use the pronouns I, he, she, we, they and when do you use me, him, her, us, them? So let’s talk about when you should use I and when you should use me. Comparison. 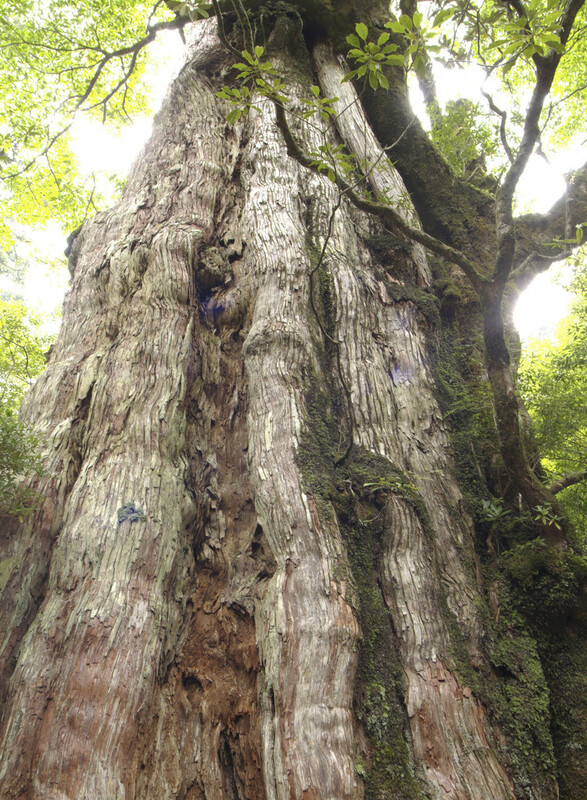 “The tree is taller than we.” “Everyone is better dressed than he.” “No one is as happy as I.” Why do these comparisons call for the subjective pronoun (I, he, she, we, they)? Bacon makes me fat. “Me” is what gets fat when I eat too much bacon. If you’re unsure, you can easily tell by removing the other object of the preposition (in this example, “Anna”): “Joe went to the store with me.” It’s obviously “me” in this situation, but it might be less obvious with a longer sentence and an additional object in the mix. If you’re not sure, try it out with each pronoun and you’ll likely hear what you need to do. 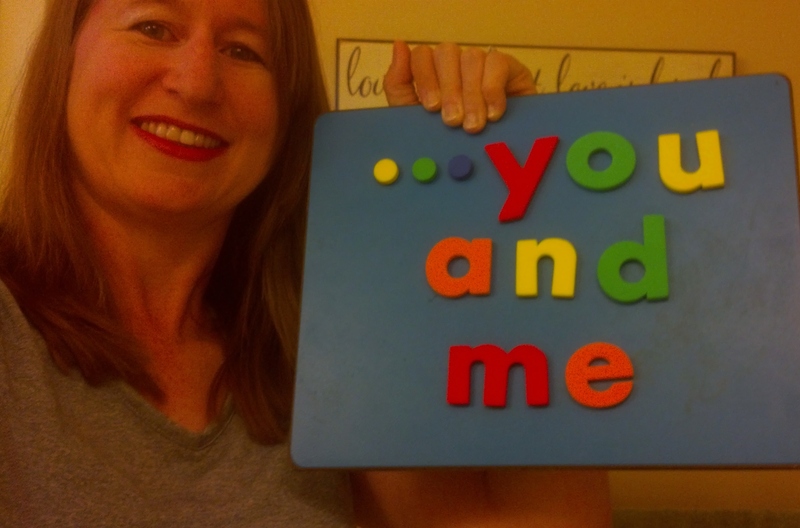 Julie finished a grammar post with you and me. When you’re not sure what the proper pronoun should, shift things around in the sentence and try out different forms. It might help you to determine the appropriate choice. Or just check back here for these tips! Have you struggled with pronoun usage? Do you have any sentences from your writing you want to check with me? And if you’re looking for extensive copy editing, click on the tab above. I’d be happy to consult with you about your project. 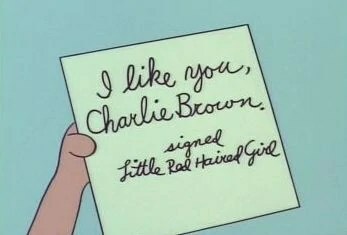 No wonder Charlie Brown likes her: Good penmanship & grammar. Welcome to Amazing Words Wednesday, when we enter the labyrinth of language and see what we can discover together. 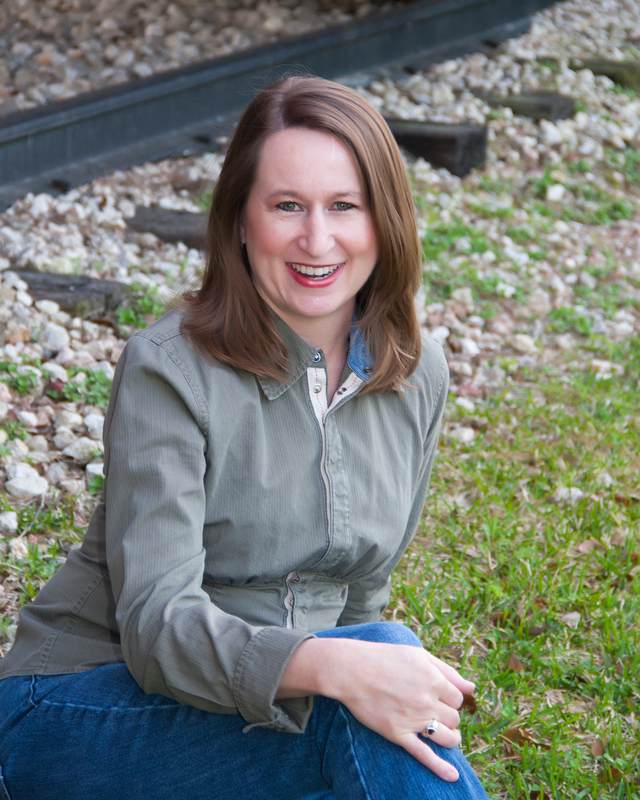 I have a short post today with resources for anyone in the midst of writing or editing–whether that’s a novel, an essay, a resume, or a love note from the little red-haired girl. Does anyone even use a paper dictionary anymore? I have one on my shelf, but I am far more likely to look up the definition of a word online. To that end, here are links to internet dictionaries. Dictionary.com. Dictionary.com uses several sources for its word meanings, including Random House and Heritage dictionaries. OED Online. For the dedicated language lover, there is always the Oxford English Dictionary online. Recognized as the definitive source for all-things-English, you will have to pay, however, for this privilege. Annual subscriptions for individuals are $295. Thesaurus.com. Run by the same people who brought us Dictionary.com, this is my go-to place for What’s that word? I can’t think of it. It’s kind of like “small,” but not small… Or when you’ve typed “tingled” so many times in your manuscript that your beta reader is uncomfortable, and you know you need a different word with a similar meaning. Roget’s Thesaurus. Roget.org provides the 1911 edition of Roget’s Thesaurus online, from Project Gutenberg. The site is easy to use, but just note that newer word usages won’t be there. Most word meanings remain the same, but the English language is fluid and some things change. A word about Synonym.com. It also promises to provide, as one might expect, synonyms for words you input. However, the database is entirely based on Microsoft Word so you’re not getting much there, plus the site is so riddled with advertisements that I clicked off within seconds of my arrival. I also keep a Rhyming Dictionary, published by Random House, on my bookshelf. I have written several poems and songs, and that little dictionary came in super-handy for those projects. Even writing prose, however, I sometimes want a rhyming word. Check out the following. RhymeZone. RhymeZone allows you to find both exact rhymes and near rhymes. For instance, exact rhymes for “corn” would be “born” or “torn,” but near rhymes include “barn” and “turn.” Results are categorized by one-syllable, two-syllable, etc., making it easy to also find the rhythm you’re seeking. Rhymer. Rhymer is also easy to use and you can filter your search by type: such as first syllable, last syllable, and double-syllable. If you find a word in the rhyming results you’d rather use, you can also click it and find rhymes for the selected word. English language usage can be confusing, and we all need to look up a grammar question from time to time. I have several books on my shelf for reference, but I also go online. Grammarly Handbook. Grammarly advertises itself as the “World’s most accurate grammar checker.” The site has specific articles on grammar, punctuation, mechanics, and style–for instance, “Prepositions of Spatial Relationship” and “Quotations within a Quotation.” The Grammarly software, or rather plug-in, can be added to existing software to check your text for grammar and style, as well as checking for possible plagiarism. I haven’t used this feature, so I don’t know whether it’s worth it. I will say that nearly anything has to be better than Microsoft Word’s anemic efforts to master grammar and language usage. Chicago Manual of Style. In addition to my well-worn paperback Strunk and White, this site is my usual place to check current rules of grammar and style. I have a subscription, but at $35 a year, I figured it well worth my investment. Grammar Girl. I am also partial to Grammar Girl’s Quick and Dirty Tips for Better Writing. Grammar Girl, aka Mignon Fogarty, covers a wide range of grammar, language, and writing topics, and also answers questions sent to her by listeners and readers. You can search her articles for an answer to your specific question. Your turn. What are your favorite resources for checking your words? Have you ever written a sentence and stopped to think, “Is it that or which? Which? That?” Sorting out which/that and who/whom can leave even the most grammar conscious scratching their heads. However, today on Amazing Words Wednesday, we’re going to try to sort it all out. Let’s start first with deciding whether you need to use that/which or who/whom. How about the following sentence? The guy ____(who/that) asked me out looks a lot like Hugh Jackman. Would you fill the blank with who or that? If you are certain that it is a person, use who. It’s more specific. In conversation, you may find people using that, but when writing you can be more accurate. But what about an organization? The Supreme Court is now treating corporations like persons. Should the English language do the same? The company ____ (who/that) hired me is owned by Disney. 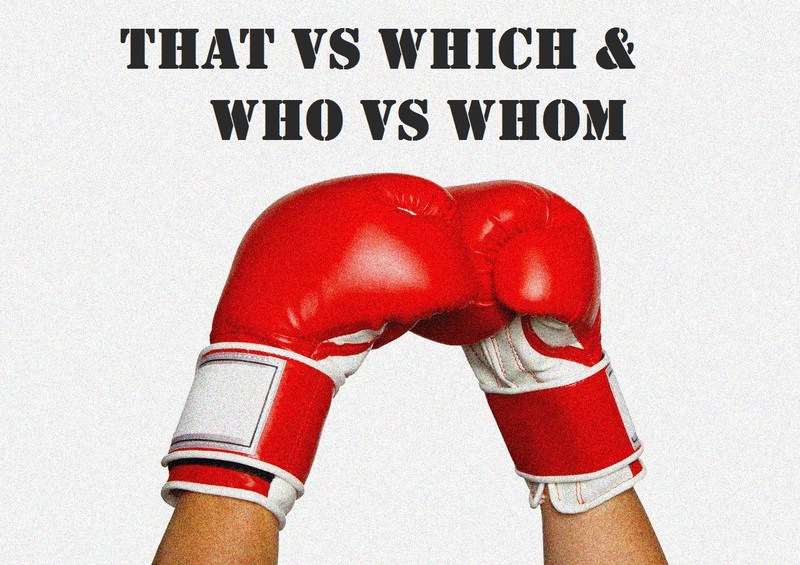 Did you use who or that? In spite of the Citizens v. United decision by the Supreme Court, companies are not people. They are not who. A company is a collective noun, or more specifically a thing, and thus can be referred to as it. For instance, a team is the same way. You would say of a team that it did better this year than last. So the correct choice with a company, team, etc. would be that. However, we don’t usually even talk that way. To be precise, you may wish to say, “The Texans, who did better this year than last, still didn’t make it to the Super Bowl.” In this case, you have avoided that less precise collective noun and recognized that players (aka people), are really the ones who did well (but not well enough). Now let’s distinguish when you should use that and when which is more appropriate. The way that he looked at his watch gave me the impression that he wanted this date to end. The final straw that sent me storming out was when he took a phone call from his ex-girlfriend. In both cases, the clause in italics is pertinent to the message of the sentence as a whole. It communicates necessary information. He kept looking at his wristwatch, which was a pretentious gold-and-diamond Rolex, throughout our date. This evening, which reminded me why I hated first dates, made me swear off dating for a good six months…or at least six weeks. In these examples, the sentence would have the same essential meaning without the italicized phrases, and thus use the word which. It is also why the phrases are set off by commas. Of course, it isn’t always this easy to spot. Sometimes you may need to pause and ask yourself whether the information is extraneous or integral to your primary meaning. A phrase introduced by which may still be important, even if it isn’t necessary to that particular sentence. Sometimes, it’s a judgment call. The lights that would indicate someone was home were smashed. The lights, which would indicate someone was home, were smashed. Which is right? In this case, I think it’s up to the writer. What meaning do you wish to emphasize? Using that or which gives the reader a subtle clue. Finally, let’s look at the use of who versus whom. This one is easiest to determine if you use the replacement principle. Who is a subject, like he/she/they. Whom is an object, like him/her/them. So if replacing the word with a specific would require he, she, or they, who is the word you need. If instead, you would use him, her, or them, go with whom. Who is going to the party? He is going to the party. She is going to the party. They are going to the party. Whom are they going to the party with? (Or for the sticklers, With whom are they going to the party?) They are going to the party with him. They are going to the party with her. They are going to the party with them. I’ll go out with ________(whoever/whomever) buys me a three-course meal. _______(Whoever/Whomever) you date will end up as an ex or your lifelong mate. I’ll go out with the guy who buys me a three-course meal OR I’ll go out with the guy whom buys me a three-course meal. Reading it aloud, hopefully you cringed at “whom buys.” So in this example, whoever is the way to go. The guy who you date will end up as an ex or your lifelong mate OR The guy whom you date will end up as an ex or your lifelong mate. A little less clear, but it’s whom. You date him, not he. You is clearly the subject and whomever is the object. By the way, it’s always bugged me: “Who’s zooming who?” (Aretha Franklin, 1985) should really be Who’s zooming whom? He’s zooming her. She’s zooming him. Now, if I could just figure out what zooming means. Did that clear anything up? Or just confuse you more? Do you have any tricks for keeping who/whom and that/which straight? Thanks to Karen Rought for suggesting the topic. It’s a tripper-upper indeed. Back in May 2012, we were introduced to Professor Punctuation on Amazing Words Wednesday when she covered the proper usage of the apostrophe. Thankfully, she’s returned to explain the proper use of quotation marks. Please welcome back our favorite word nerd professor, Professor Punctuation! PP: Man, it’s been too long–like we left off with an ellipsis. But hey, I’m here now. So while I sip my cup of doctored java, let’s talk quotation marks. “Where does your tattoo say?” he asked. What gets confusing is when you introduce other punctuation along with quotation marks, or you start using quotation marks for titles, or you indicate a wink-wink meaning with quotation marks–like using air quotes if you were conversing. Let’s take a look at these instances. Quotation Marks with Other Punctuation. The rules are a little different with American and British usage. I’ll cover the Americans and let the Limeys take care of themselves. (They’re more than capable.) As usual, we had to make it a little complicated. So pay attention closely, or just bookmark this page for later reference–especially that bleary-eyed guy in the back. Commas and periods always go inside the quotation marks, whether or not they were part of the original quote. Colons and semicolons won’t appear at the end of a quote, so they go outside the quotation marks. I recited, “There’s no place like home”: that famous quote from The Wizard of Oz. Our biology teacher wanted us to read “The Life Cycle of the Plant”; instead, I cracked open my copy of The Catcher in the Rye. Question marks, exclamation points, and dashes go inside when part of the original and outside when not. “O happy dagger!” Juliet said. Who said, “To be or not to be”? Quotation Marks with Titles. Quotation marks are used to enclose titles of short works–such as short stories, poems, TV episodes, speeches, etc. But NOT longer works, such as books, television series, and films, which should be italicized. Sometimes it’s hard to tell where a title would fall. For example, when an Oscar speech starts out with the hope that its title could fit in quotes and moves into the world of italics before someone finally, mercifully, sends the smiling girl out to collect the verbose award winner and walk away to the sound of goodbye music. Or when your start writing your brilliant epic novel and suddenly realize that the story worth telling is only about 10,000 words long after all. But most of the time, we know what would get quotation marks and what would get italics (or in the past, underlining). Quotation Marks as Wink-Wink. Sometimes quotation marks are used to emphasize an ironical use of words. For instance, if your good-for-nothing, drug-dealing cousin offers you some “donuts” with air quotes, he ain’t selling you donuts. Tell him you get high on life and help him find the nearest rehab center. The quotation marks in such usage indicate a hidden meaning. The word in quotations is a euphemism, substitution, or even the opposite of what the speaker/writer wants you to understand. People, however, are starting to throw out quotation marks all over the place like they are confetti from your New Year’s party. Thus, this sign is confusing. 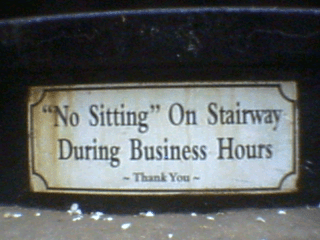 Is “No Sitting” really the intended meaning? Did we just get a wink-wink message? Quotation marks here are unnecessary. The sign makers could have used NO SITTING to highlight their point. Congress is using some “creative” math to work out the issues. Joan Rivers had some “work” done. But NOT to the police officer who stopped you: Yeah, there’s just “medication” in that bag. Quotation Marks with Understood Phrases. One last tip about saying hello, thank you, and other typical phrases in a sentence. There is no need to include quotation marks in a sentence like, “I sent a thank you note.” Yes, the note said “thank you” somewhere in it, but this meaning is less of a quotation and more of a description. The quotation marks just get in the way. I’m calling to say hello. But NOT: They send their “best wishes” to all of you. Now that I’ve had a lotta latte and we’ve covered the basics, I need to head home. My main man is waiting for me so that I can “research” my romance novel, Hippie Hubbies Are Heavenly. JG: Well, on that note I guess we’ll take leave of Professor Punctuation. Our heartfelt thanks for giving us another lesson on the proper use of punctuation. What other questions do you have for Professor Punctuation about the use of quotation marks? Do you get tripped up anywhere? What do you think about the overuse of unnecessary quotation marks?